Content marketing is a type of marketing that involves the creation of content that can be shared online through social media posts, videos, or blogs. Content marketing allows companies to promote their products and services with the focus on creating and distributing valuable and relevant content. This 2019 ROI-driven IT Marketing Guide that every marketer should follow outlines the foundational components to a great IT marketing strategy and key steps to implementing a comprehensive marketing plan. Content marketing and tactics can help you attract and engage with prospective customers by delivering quality content that provides high value to the people that visit your site. Content marketing has many benefits as it is one of the most effective and practical forms of digital marketing that your brand can use. Content marketing can help to drive conversions: Overtime, content marketing helps to drive more conversions on your site. Companies are able to create consistent marketing content have higher conversion rates than those who do not focus on content marketing at all. Your primary goal with content should be to engage, help, inform, and to bring value to your readers. If this is done tactfully, it can easily help you to increase the number of conversions that you get. Quality content helps to build trust with your target audience: By providing your readers with quality information, the more trust that your brand can build over time. By informing your readers about the struggles and problems that they are facing, you begin to establish a relationship with customers and start to build trust based on the value that your content provides. Valuable content can help you to build credibility and authority with your readers: The quality content that you provide to your readers will translate into credibility and authority which means the readers will continue to come back to your site for more information. Now that we have looked at the many benefits of content marketing, how can you use them to build your brand and grow your company? Below are some of the strategies that you, as IT marketers, can follow. Do Not Overlook the Power of Social Media: IT marketers looking to grow their businesses should not overlook the potential social media has. 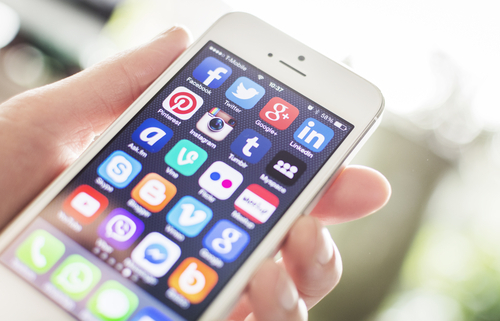 Integrating social media into your content strategy can bring your business great success. Social media allows your brand to have its own voice and helps to bring any social media’s platform and its customers to your brand. Content marketers publish content that meets intent in several channels where prospects are likely to be. Communicating with consumers on single marketing channels can be beneficial, however, with the use of multiple channels, you are able to reach even more potential consumers and increase your conversion rates. By creating promotions where customers of one products can be targeted with promotions of related products, it can help IT marketers to grow their business. Don’t have time to do this all by yourself? Check out this list of best consulting firms in Chicago to choose from. What exactly is a sales funnel? According to Leadpages, a sales funnel is “the process from when you first drive traffic to your landing page to the moment you finish the sale”. By learning the methods of attracting traffic to your site, you can slowly build your audience. Higher the quality of the content, the more chances there are to drive more leads. Content can be leveraged in several different ways, and how to choose to leverage them depends on your goals and budget. You can also build sales funnels to drive leads. Follow these three processes on how to build a sales funnel. Guest posting is one of the best ways to bring exposure to your content. Guest posting allows for search engine rankings to place your content at the top that allows for more traffic to come to your site. Search engine optimization (also known as SEO) is very effective in getting your site to rank higher on Google and is one of the most effective content marketing strategies. SEO is the practice of optimizing websites that align with search engine algorithms (in this case, Google). SEO tells the search engine that your website is relevant to specific search queries and makes your content available to the users seeking for your content. On-page SEO methods are free and with consistent efforts, produce great results. Content marketing is one of the best ways to invest your marketing money into. There are many variables at play, that it can become difficult to juggle all things at once. By following these steps, IT marketers can help grow their businesses and see success in their companies. Content marketing strategies offer a great return on your investment in marketing. It can help to drive conversions, bring more traffic to your site, help you to build a loyal following and trust amongst your readers, and help you to build a credible relationship with your readers.